The original fifth-grade crime cracker is back with ten new mysteries to solve. Collect the clues and see if you can figure out whodunnit! This modern-day Sherlock Holmes and his partner, Sally, have never come across a problem that they couldn’t solve. Will YOU be able to help Encyclopedia Brown to unravel the truth about his latest cool cases? 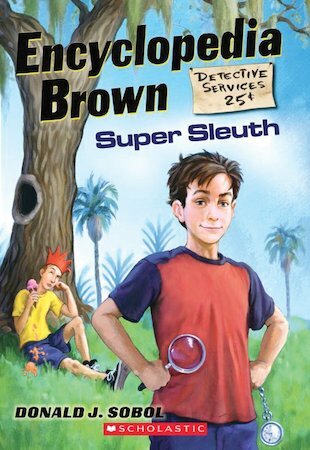 From quick capers to fiendishly challenging riddles, join these junior sleuths as they go to work. Look for hidden clues and see if you can puzzle out the solution to each mystery!